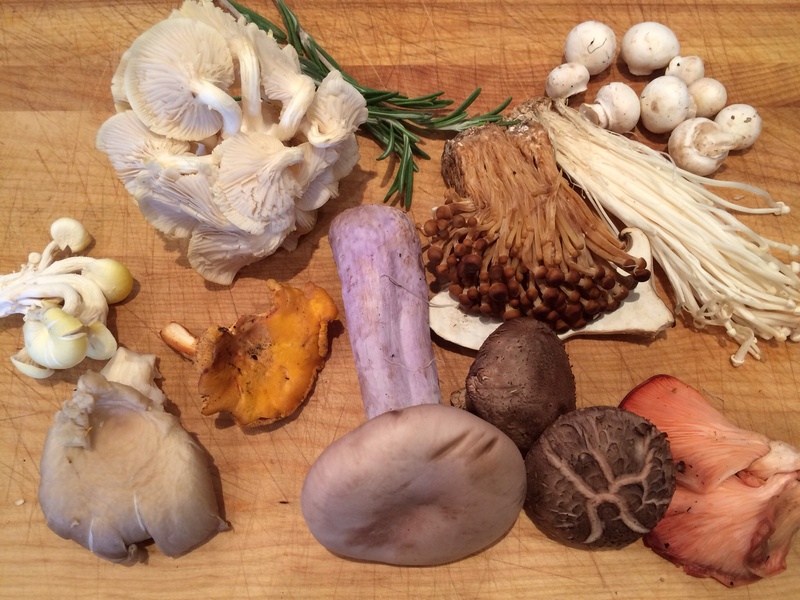 I bought a mixed box of beautiful mushrooms at the market. Heat your oven to 190c. Clean the mushrooms with a damp piece of kitchen paper or a soft mushroom brush to remove any grit and slice them. Add them to the frying pan with the herbs and fry until they soften. Chop the garlic and add to the pan. Season with salt and pepper. When they have softened put them into an oven proof dish. 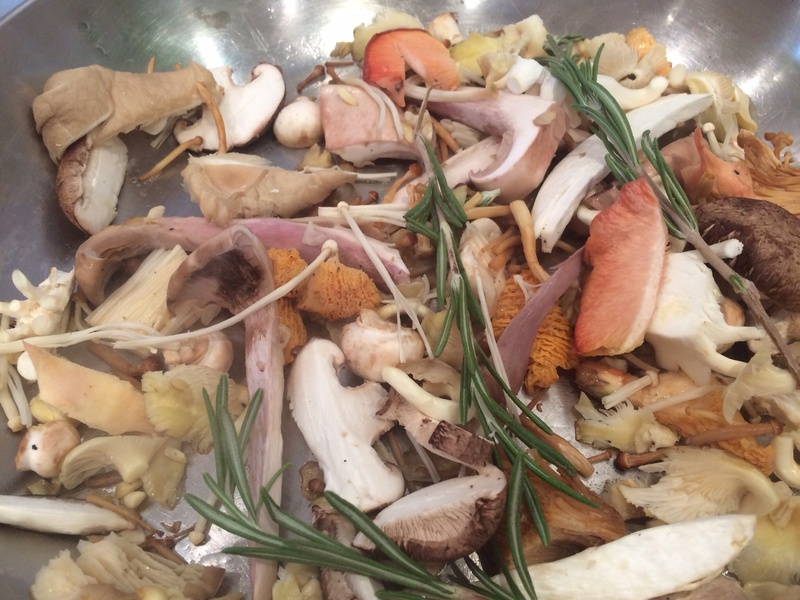 (Remove any stalks of rosemary if you’ve cooked the mushrooms with it). 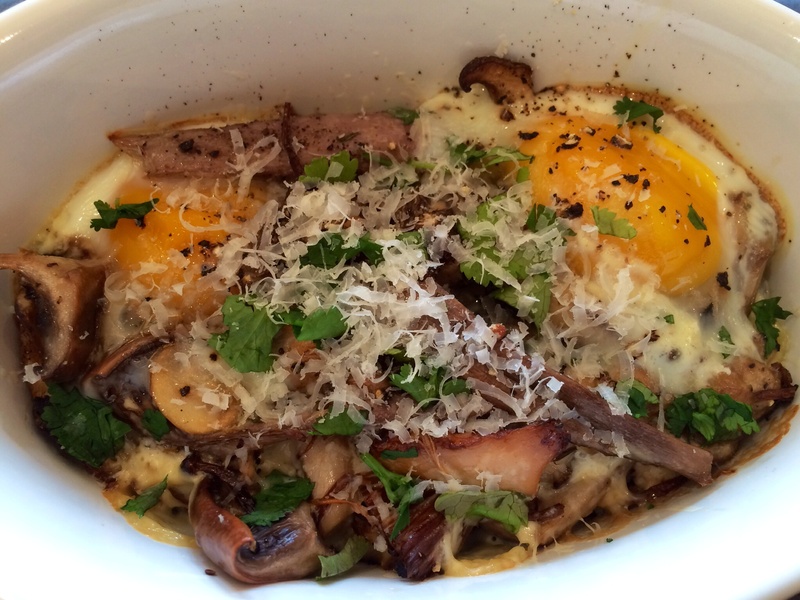 Carefully break 2 eggs on top of the mushroom mix. Add a couple of tablespoons of double cream, sprinkle with grated Parmesan cheese. Bake in the oven for 15 minutes until the eggs are just set. 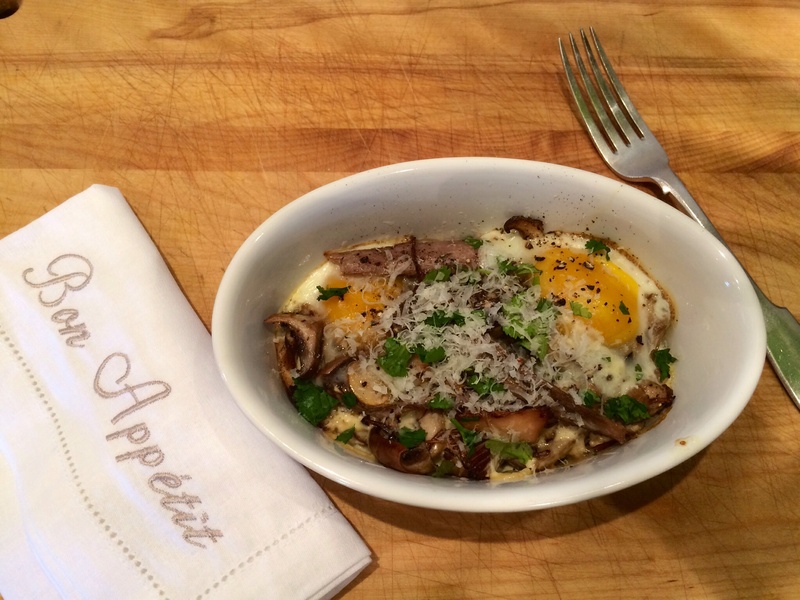 Serve with a little more fresh herb snipped on the top.